This LP has 69 parts. Original Thread: Let's Play Valkyrie Profile, not Mortal Profile! 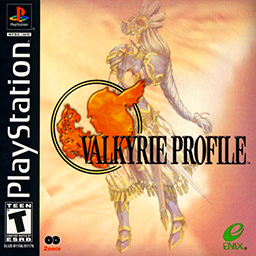 Valkyrie Profile was a commercially and critically successful game developed by tri-Ace and published by Square-Enix, released in 1999 (2000 for North America), relating to the tale of the Valkyrie Lenneth and an ongoing war among the gods. The game eventually spawned two games related to it, and was also re-released as a PSP port in 2006. I'll be covering the original NA version. Part 5-1: Badrach Was Here! Freya Is A Loser!